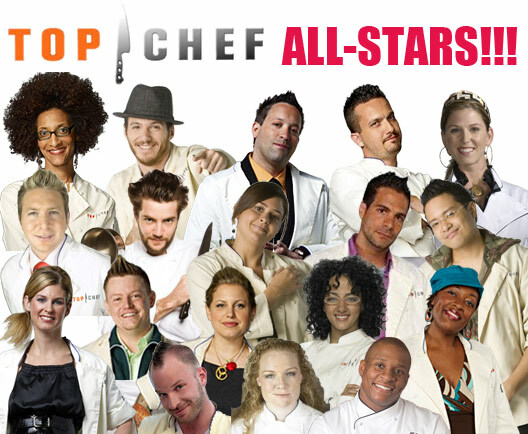 Last night “Top Chef All-Stars” resumed on Bravo, and there are 13 chefs left. 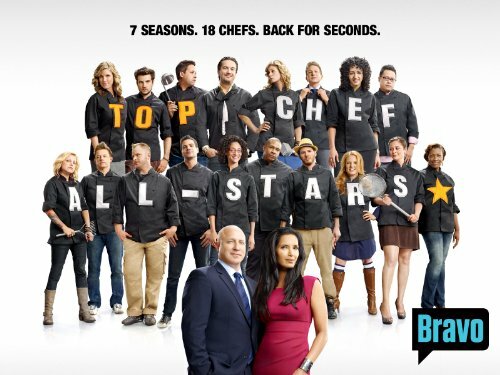 They began as host Padma Lakshmi announced the Quick Fire Challenge, and told the chefs that they would be going up against a world class chef in a race of speed. That chef would create a dish quickly and they would each have to create their own dish in that amount of time. The chef? Head judge Tom Colicchio. This was must-see TV, because no one who watches the show has likely ever seen Tom cook before. 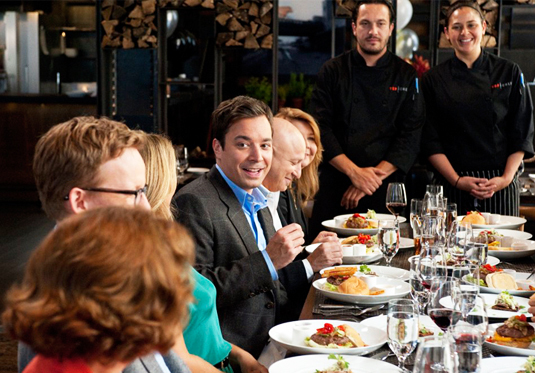 And these all-star chef-testants were in awe of Tom, as was everyone watching. The dude created a fish dish in 8 minutes, 37 seconds that looked amazing, and I don’t even like fish. So the least favorite dishes were Dale (pad thai gone wrong), Jamie (one single clam on a plate) and Angelo (made a raw dish when Tom specifically said not to). The top dishes were Mike Isabella (made a similar dish to Tom’s–black sea bass with capers and olives while Tom’s was with clams, tomato and zucchini); Marcel (made a similar dish but with Asian flavors like dashi broth); and Richard (grilled beef tenderloin and foie gras). The winner was Mike, and his prize was a new Toyota Prius as well as immunity! Wow.